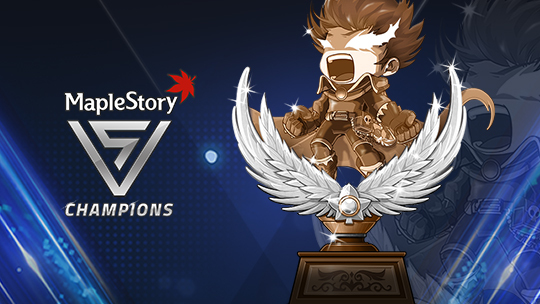 Recently, MapleStory launched a new event which need our players to defeat as more monsters as they can. Players who logged into MapleStory November 30th and January 18th can get amazing free gift. The redeeming process is quite simple. Players can load up to MapleStory after the V: Champions update goes live and accept the gifts from the in-game notifier. The gifts are free, and you will get many new items including Royal Hair, Face coupons, 3x EXP coupons, Selective 8 Slot Coupons, Safety Charms, New Year Coins and etc. Players are able to get a V Flame Chair. Note: The redeem event ends on February 7, 2017. There will be an event called V: Champions. As the name suggests, players who want to win the Maple champion need to set world record. There are plenty of measures can achieve the goal: defeating the highest numbers of monsters, dying the most times, picking up the most items and etc. To win the final victory, players need to keep playing to surpass the current record and set a new one. It's a good method by using the Maple World Records Book to keep track of who holds the current records in your world and see what you need to do to beat them. Once you hold a record, you will receive some rewards and earn a special title which symbolizes that you're the current World Record holder. Meanwhile, you'll also earn restorative items, Spell Traces, EXP and Drop coupons, effects, potential items when keeping records. Note: The Champion record event ends on February 7, 2017. Do you want to become the champion during the event? Start your adventure of fighting with monsters!